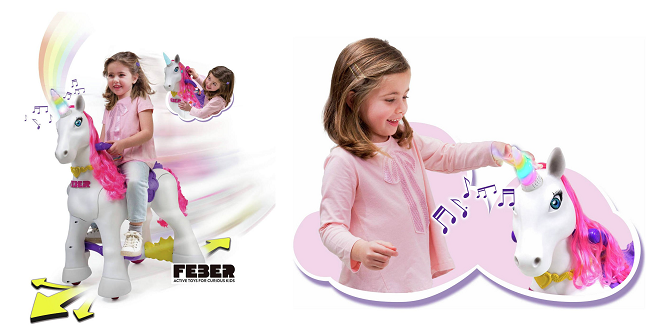 This magical unicorn ride-on toy is a battery operated toy made by Feber that can be ridden with it's reins like a real pony. It has a lights and sounds magic horn, and can be groomed and petted as well as ridden or led by the reins. It's for ages three and over, has wide wheels and easy grip handles, with a maximum user weight of 30kg.